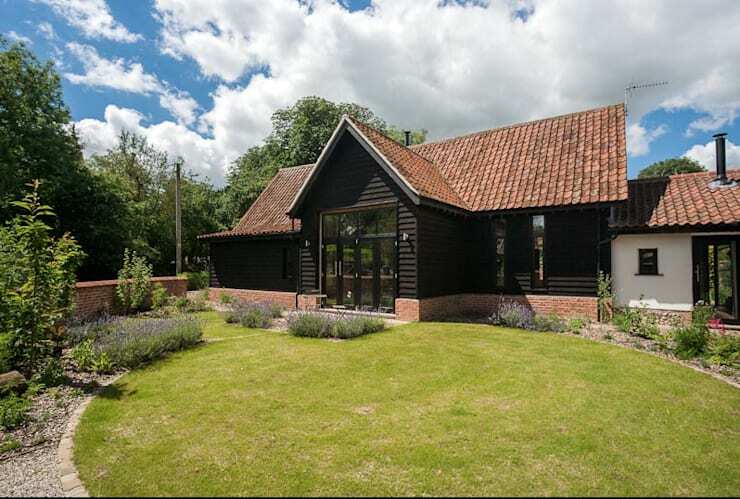 At homify, we love rustic houses. 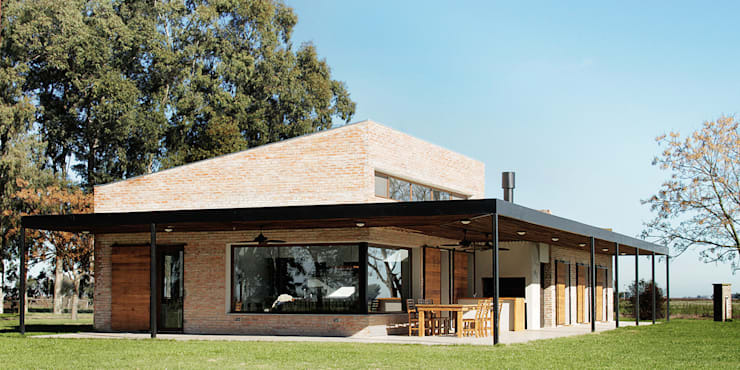 They connect architecture to the beautiful nature in our country and can be combined with all sorts of other designs and styles, from modern to minimalist. In fact, there are so many different rustic houses that exist, which is why we are delighted to have an opportunity to explore the 10 best rustic homes of 2016. These are designed by top professionals from around the world. As we explore these homes, we will learn how we too can introduce a rustic style to our own homes. You'll be inspired to add a natural touch to your design and decor, whether its raw wood, stone or ceramic. In fact, have a look at these tips for making for your home roar with raw materials to see just how easy it is to add a rustic touch to your home design. After exploring these 10 best rustic homes of 2016, you'll be itching to! Wood is always a wonderful choice for a rustic home, creating a very warm and earthy design. 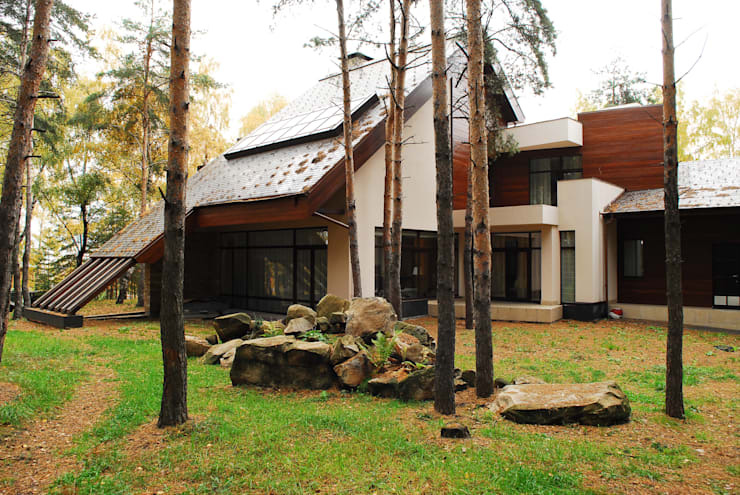 This design is especially fitting if the home is positioned in the woods! What's more is that wood is a fabulously durable material that is cost-effective too. Have a look at these 10 wooden houses that will make you yell wow to see some more impressive wooden homes. 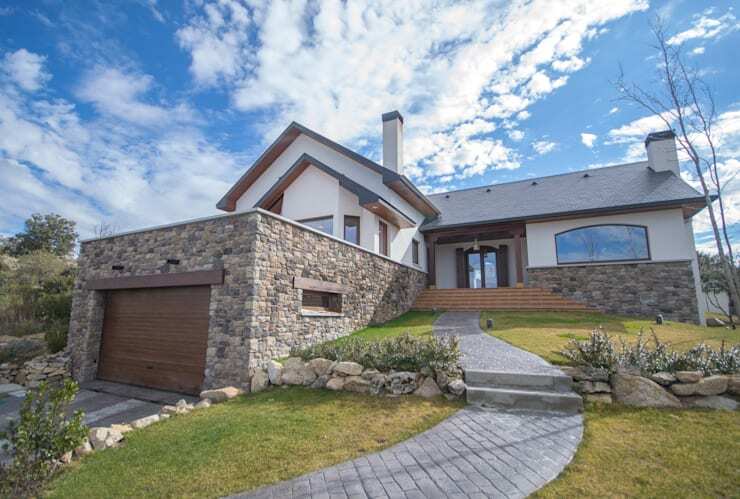 This architecture combines a modern, double-storey design with a rustic stone cottage look and feel. Designed by Linda Joseph Interiors, this home works beautifully with the country setting. Do you see how these designers have worked with the natural surrounds to create a home that is the full package? Here we see how a contemporary design works in harmony with a rustic touch. The smooth plastered walls work in harmony with the stone facade, packing quite a visual punch! A rustic home can still feature a unique and stylish twist, as this home clearly shows. 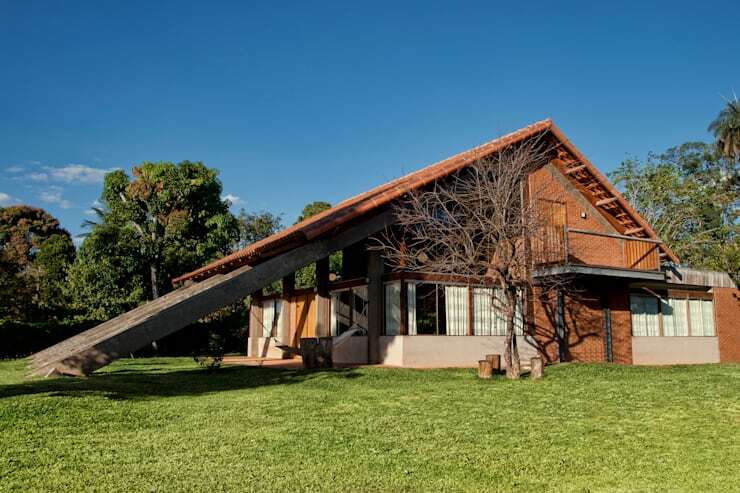 Don't you love the dramatically sloped roof? One of the greatest features of a rustic home is the seamless connection between the interior and exterior spaces. This brick home spills out onto a gorgeous and spacious terrace where the family can enjoy the fresh air and sunshine. Mix white plastered walls, wooden cladding and a charcoal tiled roof for a very impressive yet subtle design. A neutral colour palette works beautifully with the nature that surrounds the home. Darker wood can work beautifully for a rustic home facade, especially if there is lot of natural light available. A dark wood facade also looks very sleek when interspersed with large glass windows and doors. 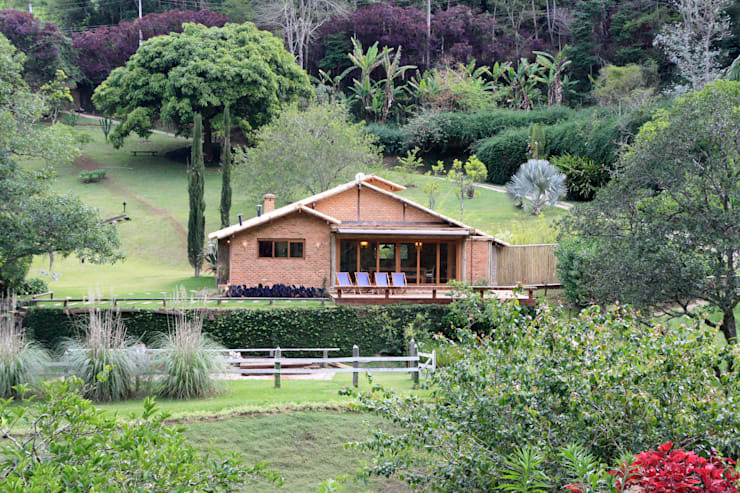 Here we can see how beautifully a rustic home can blend into the surrounds. 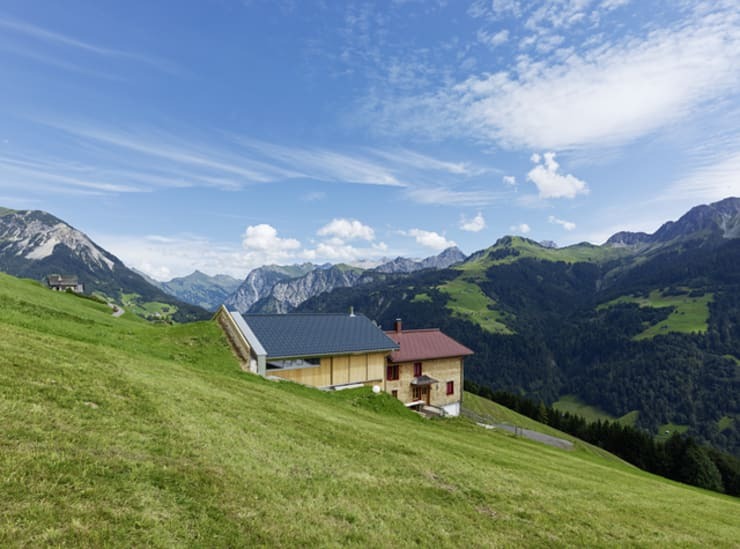 Designers will ensure that they capitalize on the views, allowing the home to take full advantage of it. This rustic home is proof of how much character and charm this design entails. The other thing to remember is that a rustic home also features a very homely and warm interior design. 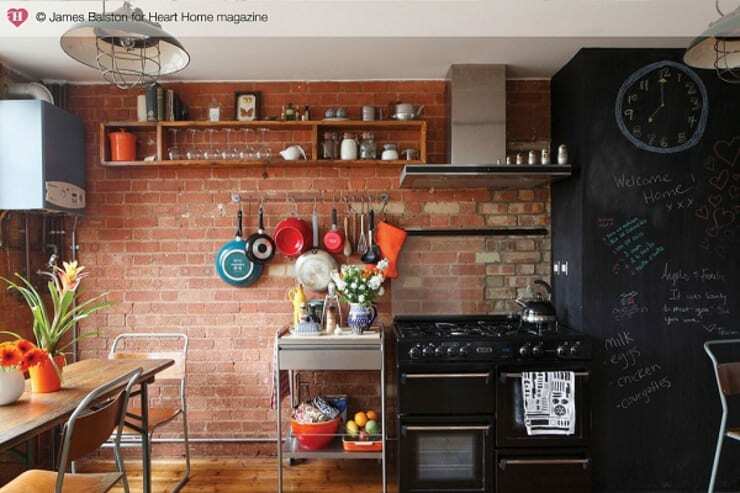 This kitchen is a perfect example, with a raw brick wall bringing a very industrial chic look and feel to the space. This contrasts beautifully with the sleek appliances, making this kitchen the true heart and soul of the rustic home. 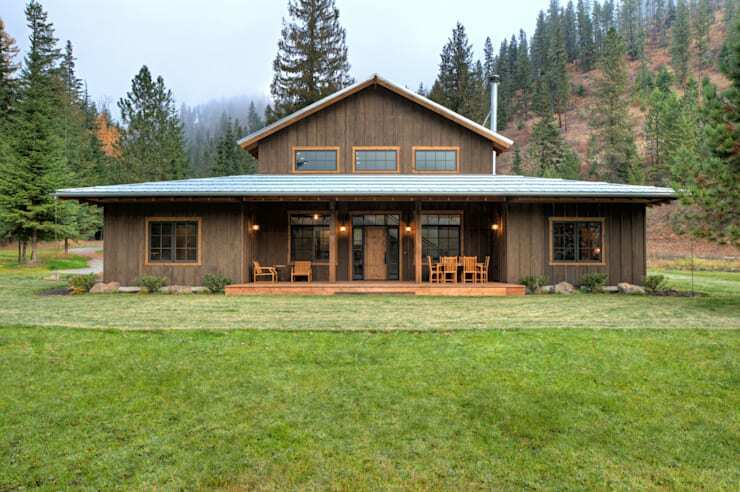 If you've enjoyed this article, you'll love this rustic home that strikes the perfect balance. Which is your favorite rustic house?